They're called "The Greatest Generation." The men and women who lived and worked and served and sacrificed and died during World War II all pulled together in a phenomenal effort to keep the idea of freedom alive in the shadow of the Axis threat. But who were they? Most of these heroes, and I don't use the term lightly, were just everyday people who did their part, not because it was easy or because it would bring them riches or notoriety, but because it was simply the right thing to do. 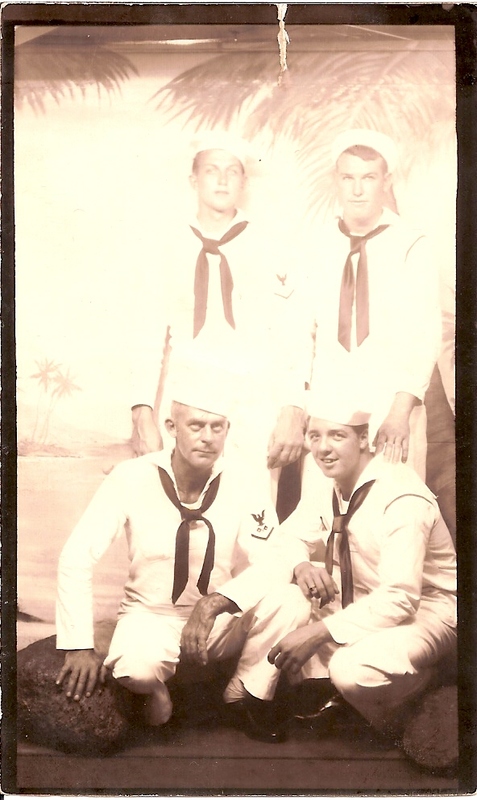 One of these heroes is my dad, Julian Ray Dodson (standing, right). He enlisted in the U. S. Navy in February of 1943 at the age of seventeen. Before then, he'd never traveled alone away from his home in Dallas, Texas. 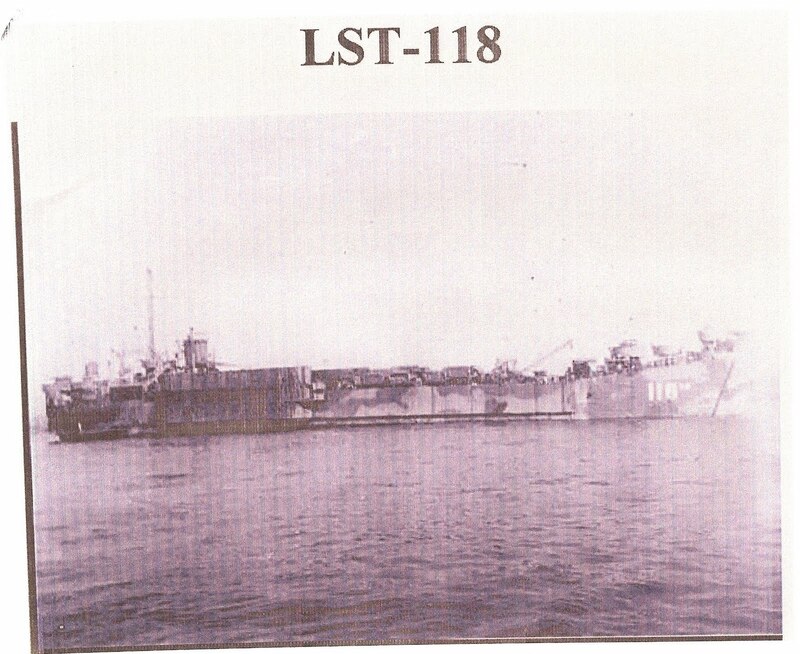 By the time of his honorable discharge in December of 1945, he was a Gunner's Mate 2nd Class. He'd been all over the Pacific Ocean and the United States and even some of the Atlantic – as far west as Leyte Island and as far east as Guantanamo Bay in Cuba, as far north as Farragut, Idaho, and as far south as the New Hebrides. By then, he was twenty years old. During that span of almost three years, he got to go home three times: for 10 days after he finished boot camp, for 36 days after he had been in the service for two years, and for 10 more days right before he was discharged. That's less than two months at home for nearly three years, and he wasn't even old enough to vote. Letters took three or four days to get to him when he was at boot camp in Idaho. When he was overseas, they took three to five weeks. It must have been easy to feel lonely and homesick, but like all the other men, he did his job without complaint. Okay, maybe a little complaint. I know during his time overseas he must have been bored and hot and constantly on edge, uncertain about what the enemy might do, but he usually passes over that when he talks about the war. Most of the time, the only thing Dad complains about is the food – the reconstituted powdered eggs, the dehydrated vegetables and the Spam. He still can't look at Spam without a shudder, but at the time it was just about the only way to provide meat to the sailors on ships without refrigeration. Most of them didn't have much refrigeration. 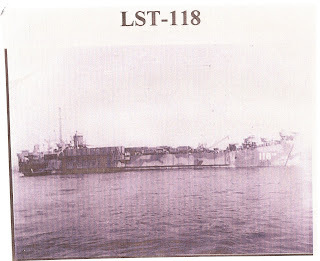 Most of them, including the LST 118 he served on, did have Spam. But, Spam and all, he and the men and women like him did their jobs. Democracy survived and flourished because of them. I don't think we realize today what it was like then. We've been at war for several years now, but we hardly feel it here at home. Back then, they knew they were at war, whether they were on the battlefield or on the home front. There was rationing and shortages and real sacrifice. People gave of their property and time and talents to make the war effort successful, and we have much to thank them for. They're not called the "The Greatest Generation" for nothing. Do you know people from "The Greatest Generation"? Have you ever listened to them talk about their WWII experiences? How can we support those serving in the military now? DeAnna, welcome to the Inkwell. We're so glad to have you among us, and your first post is great. 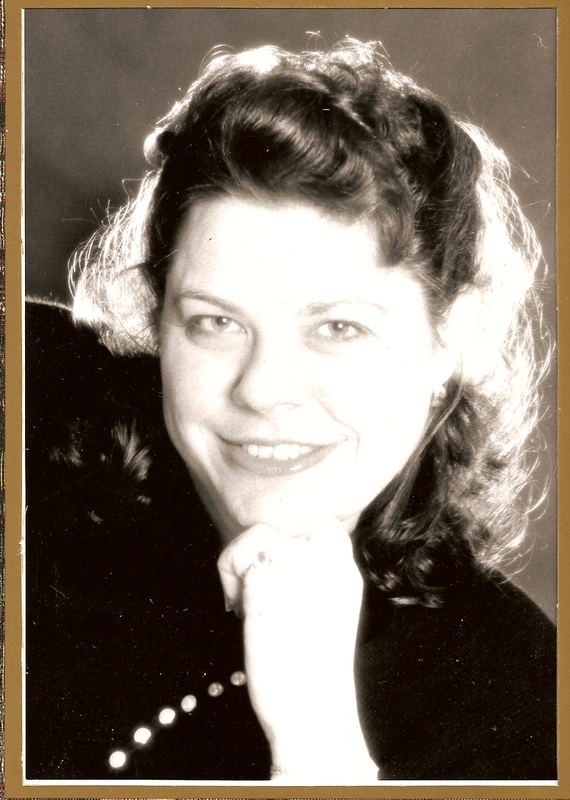 My husband's father was in the Navy during WWII, and his mother worked in the shipyards in Philadelphia. 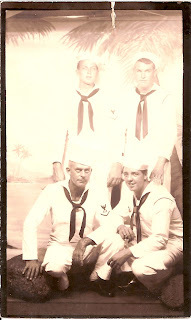 My father was in the navy, too, but not until the 50s. He was in grade school when WWII started, and he used to tell me a really sad story about how "they" came into the classroom during school one day, and took two of his classmates away (little Japanese twins). He never did see them again and always wondered what happened to them. Welcome, DeAnna, and what a great opening post! My grandfather was in the Navy during WWII. They married just before he shipped out. My grandmother stayed home and worked in the factories. My grandfather passed on years ago, but my grandmother is still alive and kicking and loves to tell her stories. Great inaugural post, DeAnna! I find the WWII era so fascinating. It's easy to think they didn't have the same dissent about the war then as we do now, but the more I research for a proposal I'm working on, the more I find that wasn't true. There was definitely a different mind set though as far as the majority were concerned. Maybe it was because so many men were involved in the fighting. It became more personal to a lot more people on the homefront. You were just saving aluminum foil for someone nameless and faceless, you were doing it in the hopes of helping so-and-so come home safe. Both of my grandfathers served in WWII, but neither of them liked to talk about it very much. My maternal grandfather was a gunner in Europe, and my paternal grandfather served in the South Pacific. The only stories I remember are from my paternal grandmother talking about her husband being away for so long. Both grandfathers are with Jesus now and had lovely funerals with the 21 gun salutes from the Veterans of Foreign Wars, which were incredibly touching. Thanks, all, for the welcome. I'm glad you enjoyed the post. And, Lisa, certainly there were people who didn't agree with America's part in the war effort. When you have a country as large as ours, you're never going to get everyone to pull the same way. But I think there must have been an overall attitude that everyone had to pitch in and do his part to get a victory. Even Hollywood was patriotic. We don't see much of that today. That's sad about the little twins, Suzie. It had to be terrible for Japanese-Americans during that time. I think my dad doesn't mind talking about the war too much because he had a fairly easy time of it. No huge battles, though he was in combat situations from time to time and that must have been terrifying to go through. It's funny, though, that when he does talk about it, he'll tell me mostly things I've already heard and then drop in the most interesting bit of information he'd never mentioned before. I want him to just sit in front of the tape recorder and talk about everything he remembers so it won't be forgotten. Welcome to the Inkwell, DeAnna--great post. I, too, wish I could have recorded my grandparents' stories, because they're gone now and I can't always remember the who's and the when's. I had a handful of great uncles who served in WWII, and while one was fine talking about his experiences, the others were not. One fought in Normandy and revisited there shortly before he died, which was both painful and healing for him. Thank you for the insightful post. Great post! We're thrilled to have you and I love how you jumped right in. My dad was in WWII and my mom was a high schooler. By the time she got to go to her senior banquet, most of the boys had enlisted and a few of them had already come home in a casket. Dad had a fascinating story, because he was an MP in the Pacific and involved with the peace treaty signings. He was a personal bodyguard to Emperor Hirohito. When I find the photos (I'm worried because they seem to be missing) I will do a post on his story. I also believe that he did give an oral history to someone many years ago. I need to find that person! thanks for reminding us of this important part of our history. Again, welcome to the Inkwell, Deanna. Oooh, Debra, that's a great story. Do PLEASE do an entry on your dad and his experiences. That would be great. My did did see MacArthur come up on a beach in the Pacific to do a photo shoot once. That's as close as he got to seeing anyone of note. Thank God for the people who keep us safe. You just have a great dad, DeAnna. Can I borrow him from time to time? thx. 1. Yes. Yes, I do. I had two Grandfathers in the Royal Navy during the war, one had two ships sank, (not his fault). My Grandmother had her house destroyed in the Blitz, and got caught up in it herself on several occasions. She lived in a major port town on the South Coast of England, which seemed to be of interest to the Luftvaffe. Amongst her 'war stories' is one about her having fallen into a hole during a bombing raid when heavily pregant with my Dad. The war generation truly were courageous.